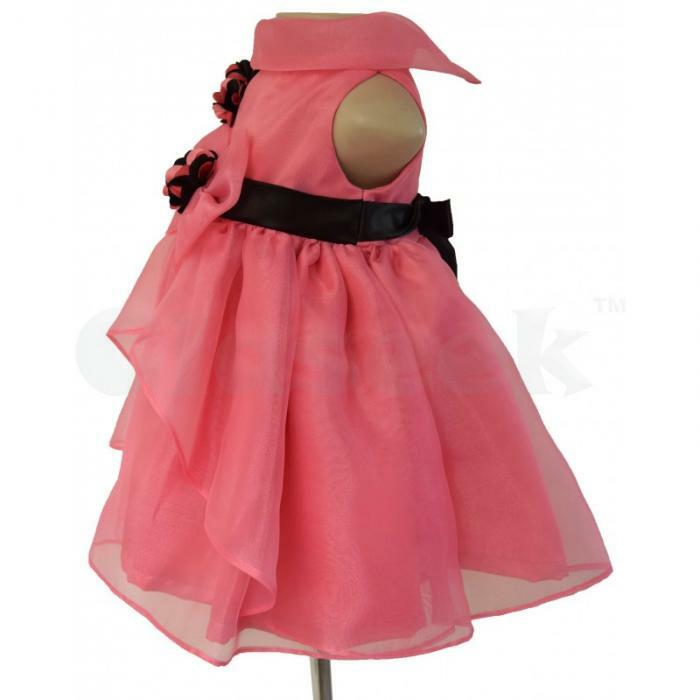 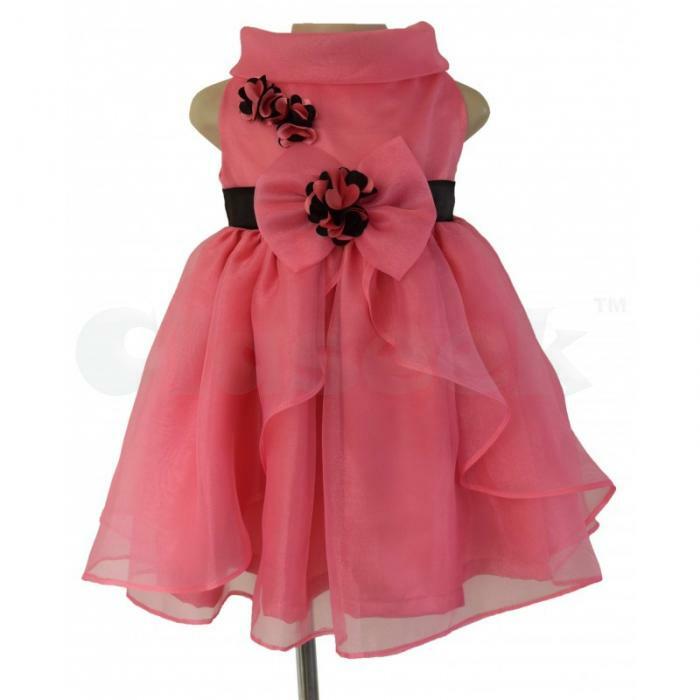 Beautiful collection of kids dresses available in different colors, patterns and designs only on Faye. This dress has an elegant, cowl neck and a layered organza skirt which is gathered, creating a wonderfully full look. 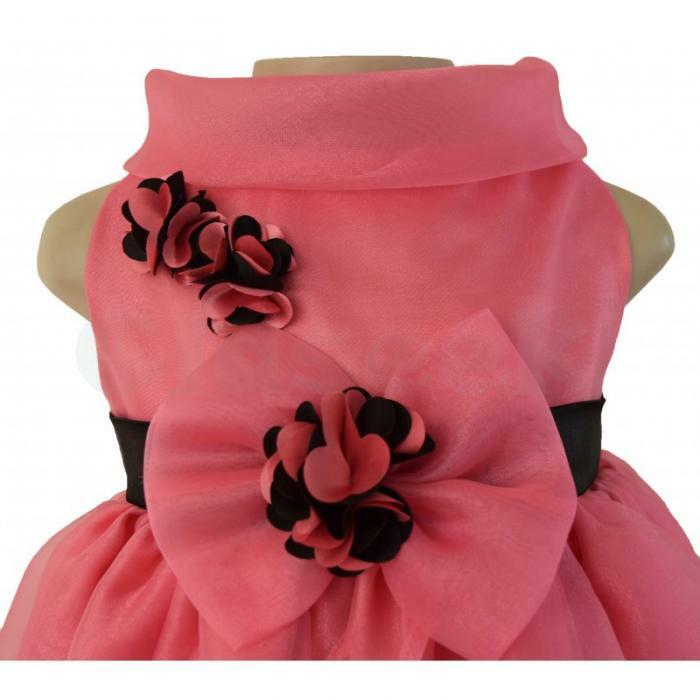 Blooms adorn the dress at the waist and body. It is surely the trendiest and most comfortable way to dress your baby girl.